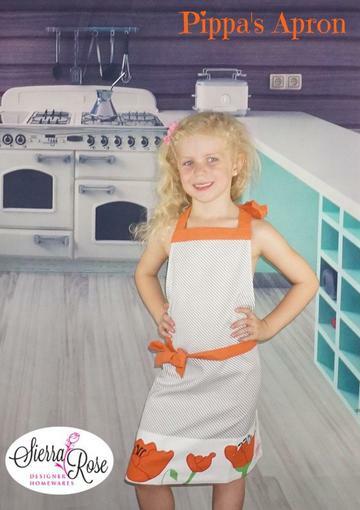 You will love the Stripes and Poppie's on this Vintage Style Apron. All our designs are hand drawn and are exclusive to Sierra Rose Designer Homewares. As a general guide our Kid's Aprons fit 3-10 year olds. A matching Mummy apron is available too.